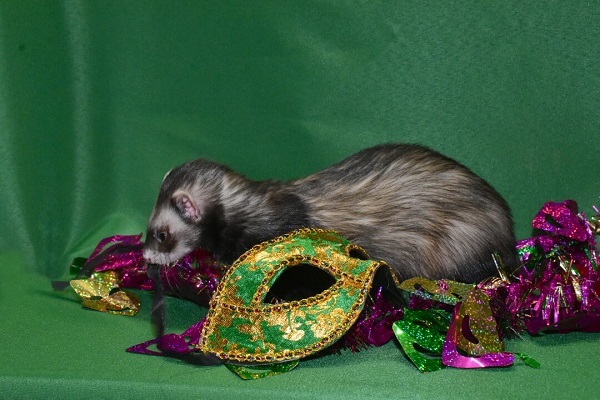 Well, it’s almost Mardi Gras 2018 and shelter ferret April has pulled out all the stops this year. Her goal? Queen of the Adoption Krewe float! She plans to toss treats to any and all along the route who fill out applications for her hand. That’s the idea anyway! Needless to say, New Orleans is rather a long way from Hartford. And April is a bit short of cash for the trip. But she had a good time tossing around the bling anyway. 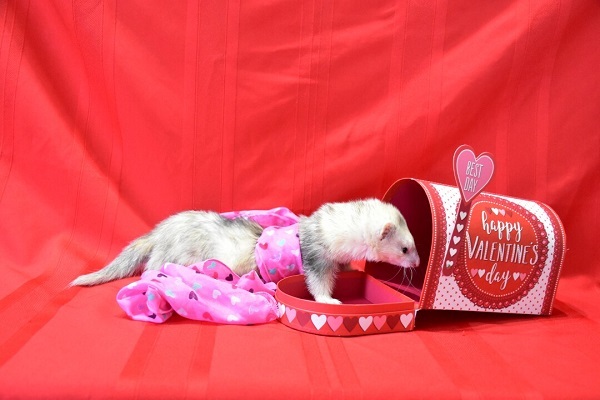 You can apply to adopt April or any of the Ferret Association of Connecticut ferrets ready for adoption on our website. Bring your own bling! 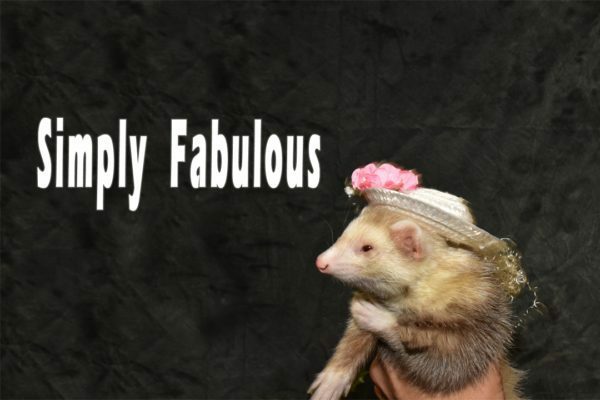 In January the Ferret Association ran a fun photo event on Facebook. We invited Facebook members to post up to 5 images of a ferret or ferrets in dressed in any sort of garb – a hat, scarf, whatever. There were no entry fees. This was strictly for fun. To encourage everyone to participate we offerend a grand prize of a $25 gift certificate to the FACT Ferret Treasures store plus a 1 year membership to the Ferret Association. We received 63 entries in total. All were adorable, each in their own, unique way. Entries are showcased in a YouTube video available on FACT’s channel. We hope our readers will enjoy them all! By the way, we added a second drawing prize. A second one year membership. Congratulations to our two winners! into your Feed Subscription Url field of your reader. For a brief time FACT’s Guidestar Platinum Seal was missing! Happy to report that it is back on our website. It seems that we needed to update some of our reports on the Guidestar website. 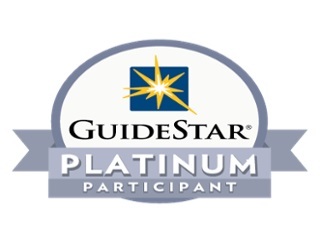 Unfortunately, Guidestar does not proactively request non-profits provide updates each year. So the need slipped past us. We now understand what we need to do going forward to maintain this important seal. The mark indicates a non-profit goes “above and beyond” in providing disclosure information on operations and financial accountability. Currently, FACT is the only ferret only organization that meets these criteria. A new look for our Paw Printz eNews! The Ferret Association is setting a regular schedule and will be automatically sending out blog posts on a monthly basis. We anticipate this will enable more timely distribution of news and information. As always, you can unsubscribe at any time.